Our chosen reserve this week is Sandwich and Pegwell Bay Nature Reserve, Kent. 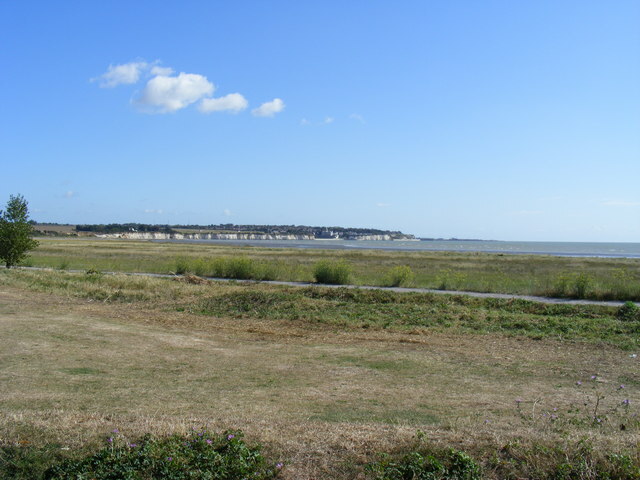 The Reserve is located on the East Kent coast and overlooks the English Channel. Just a short distance from the European continent it is a popular spot for migrating birds. Sandwich and Pegwell Bay reserve covers around 635 hectares and is actually divided into three sections, including the mouth of the River Stour. The reserve contains a mixture of habitats, including inter-tidal mudflats, saltmarsh, shingle, sand dunes, ancient dune pasture, chalk cliffs, wave cut platform and coastal scrubland. The reserve is of international importance for its waders and wildfowl, best seen over winter or during the spring and autumn migrations. Frequent visitors to the reserve include Oystercatchers, Dunlins, Curlews, Sanderling, Grey Plovers, Red Shanks, Ringed Plover, Barnacle Goose, Sandwich Tern, Little Tern, Shelduck, and Sandwich Tern.